Are you going through divorce? 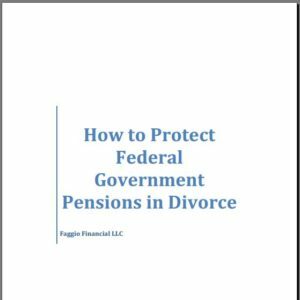 Are you concerned that a significant portion of your Federal Pension benefits will be assiged to your soon to be ex-spouse? This may end up being true; however, our Whitepaper provides you with an alternative strategy that may enable you to keep the most valuable piece of marital property that you have. *Note that this may not be possible in all cases. Pensions are Marital Property and subject to division.